Are you looking for the best essential oil diffuser reviews? This is the place to check out our evaluations to help you purchase the best quality electric oil diffusers in the marketplace. Sometimes it can be overwhelming searching from site to site, so we have taken all the searching out of it for you when looking for the best essential oil diffusers. For wonderful fragrances and therapeutic benefits, these units are beautifully designed and function well. We want to eliminate any uncertainty, so let us guide you through information to help you with your buying choice. You will save money and be able to evaluate your budget when knowing what will work for you. Using natural oils from nature’s plants for psychological, mental, and emotional health is known as aromatherapy. 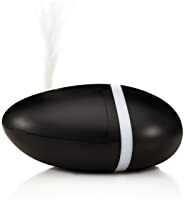 Nothing is better than a diffuser for dispersing the essential oils into the air for you to breathe. The oil mist not only smells wonderful, the oils provide therapeutic benefits for your wellbeing. You will want to look for diffusers that can do this with the ability to provide anti-bacterial abilities to stay heathy breathing the oils. You will read about this further on the website in greater detail. Essential oil diffusers and humidifiers are not the same. Humidifiers add moisture only to individual rooms or the entire house. Diffusers add essential oils to a local area—a small personal space for homes, offices, spas, massage therapists, and others. A humidifier, or sometimes called a vaporizer, provides a water mist for increasing moisture into the air. They are used during the dry winter months in humid climates when the heat source is on, and in arid climates sometimes year ‘round. Diffusers use 100% pure therapeutic oils. Humidifiers do not use oils, except for a few designed for babies. Diffusers can be made of ceramic, plastic, wood, glass and some of metal. They are easy to clean and maintain and very easy to operate. Some have LED lights, an automatic shut off when the water is empty in the tank, and there are different types to be discussed later and they are ultrasonic, nebulizer, heat, and evaporative diffusers. Features to look for are listed below. With many models, colors, and feature types, be sure to check these out. Timer—Liberates you from constantly checking the clock. Some diffusers run for a specific time and some permit you to set the time. This saves your valuable essential oils. Airflow—Permits you to control how the oils are misted into the air and the rate of time. Automatic Shutoff—You might prefer an auto shut off setting so you have no worries about the unit burning up. Area Coverage—How many square feet would you like the diffuser to cover? Some will cover entire house while others do a small room or personal area. Cleaning—Is it an easy task or a laborious inconvenience? The best units use a little water and dish detergent or alcohol and you’re ready to run your diffuser again. Oil Capacity—This allows you to not refill oils constantly. Be sure to check the models with a larger amount of mL (milliliters) for saving you time. Changing Essential Oils—Some units require turning the unit off to change oils. Since you might want different oils during the day, be sure to look for a unit that lets you change the oils easily. We have listed the top 10 best diffusers. They are not in alphabetical order; we are not biased one way or the other, and they are not listed in any ‘favored’ order. We do not have favorites, we do not sell diffusers or oil,—we simply review them for you. With so many diffusers today, you might like an overview of what we consider first class. We try to be fair and take the middle road. 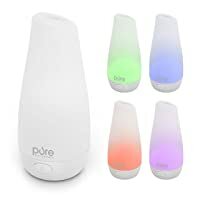 The Pure Enrichment PureSpa essential oil diffuser angled top for control of the mist comes in soft glowing colors for dispersing 100% pure essential oils (not included) to last in an area 250-square feet for a long 7 hours. The reservoir holds 100 mL (3.38 ounces) of cold tap water. Fill to the line using the enclosed water-measuring cup and never overfill the unit. 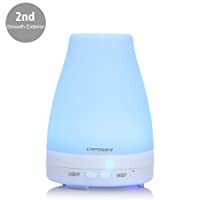 The ionizing ultrasonic cool-mist diffuser comes with long lasting LED lights in colors of purple, yellow, blue, green and red and is whisper-quiet. The fragrances will remove stale tobacco smells, pet odors, is mood uplifting, and wonderful for congestion and dry skin. The unit is perfect for a child’s room, the office, any room in your home and spas. The negative ions uplift your mood and relieve stress. Use with or without the oils. The power switch has 3 modes for changing light colors, turning on or off. It comes with an A/C adapter to run on USA 110/120-Volts and is UL listed for safety. A 2-year Warranty is included in the box with instructions. The cool-mist ultrasonic URPOWER® second generation is more powerful than ever. The water reservoir is made from BPA-free polypropylene (PP) hard plastic and the cover is frosted glass. The LED lights are very pretty in changing colors of lavender, turquoise, green, yellow, and pink. The mist button turns the unit on and lets you adjust the mist level to how you like it. You can change the light colors manually to stay at your preferred color or to cascade through each color automatically. Additionally, the light can be set to either dim or bright. The diffuser is great on a desk or bedroom nightstand and is soft as a night light. It is small to take with you when traveling at 5.5-inches high by 3.1-inches wide for moist fragrant air in your office cubicle, home, or business. It is whisper-quiet for a good night’s sleep and pleasant relaxation. Producing more mist without heat, it uses 100 mL (3.38 ounces) of tap water covering 150- to 350-square feet up to 6 hours with one water filling. A measuring cup is included so that you will not go over the fill line on the tank. Do not let water get into the air outlet hole on the side. Do not touch the little electronic board when cleaning; it can cause the unit to stop working. Simply add a few drops of essential oil (not included), turn the red light to constantly mist or the green light that has the mist spray for 30 seconds off and the on again. The unit turns off automatically when it’s out of water and the light can be operated with color or no color at all. Plug the 6-foot cord UL listed for safety into a USA 110/120-Volt outlet, with power of 50/60 Hz, 2.4 MHz. It comes with a charger adapter. With a 240-Volt adapter, it can be used outside the USA. This unit does not use batteries. Simply pour the stale water out of the unit, wipe with a cotton swab, and dry. Use a little vinegar for stubborn stains. 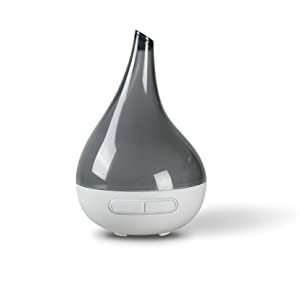 This lovely unit can be used for aromatherapy or use with water alone as a small humidifier. Your dry chapped hands and lips will love the moisture and a congested nose and sinuses will benefit as well. You will receive a User’s Manual for the 7-ounce diffuser. The Warranty is 45 days with a money back guarantee with an 18-month extended Warranty. The gorgeous QUOOZ is a cool-mist ultrasonic aromatherapy oil diffuser to revitalize your body. Using with oils it will lift your mood; help with colds, and dry skin, nasal congestion, sinus issues, and dry hair. The very large tank holds 200 mL (6.76 ounces) of water and will run with essential oils or as a small personal humidifier with only tap water for 8 to 10 hours. It will cover up to 300-square feet. You will have results as soon as you turn it on. At the end of a long day, enjoy some time for yourself with aromatherapy. 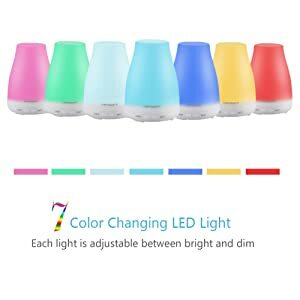 The lovely shaped diffuser has a LED light with colors in aquamarine, rose, tangerine, gray, and green for relaxing and enjoying its benefits setting it at dim or bright, or if you prefer, turn it off. The QUOOZ is wonderful to use in a child’s room, your office space, in the home, spas, and other places. It automatically shuts off when the water is gone. This unit has a timer with 20-second intervals and is noiseless. You will have no condensation on windows or around the area. It comes with an A/C adapter to run on USA 110/120-Volts and is UL listed for safety. A 1-year Warranty is included in the box with instructions. This is a gorgeous diffuser in super modern wood grain looking similar to a rose bud. It uses high frequency ultrasonic waves for an instant micro-fine mist. It is made of BPA-free plastic and will cover 400-square feet. Fill with 500 mL (17 ounces) of tap water and add a few drops of your 100% pure essential oils (not included). It will operate with cool steam for 8 hours automatically shutting off. It can also be used as a small humidifier without oils. The unit is 8-inches tall and 5-inches wide. You will love the 6 rotating and changing LED lights in blue, green, and red that can be switched on for light or off. It offers ambiance to any décor for any room, office, spa, child’s room that will be enhanced with the stunning diffuser. There is no heat involved so no one will be burned with this advanced ultrasonic atomization diffuser. The different mist modes are on/off, light off or changing colors, or night light. It’s not to be used around young children and pets. The 5-foot power cord plugs into a USA 110/120-Volt standard electrical outlet and is UL listed for safety. You will receive an instruction booklet and Warranty in the box. dōTERRA is a top-rated manufacturer for essential oil diffusers. This unit is whisper-quiet, small, and mists a great amount for fragrance with therapeutic benefits. The dōTERRA® Petal Nebulizer Diffuser has 4 settings for dispensing its mist just to your liking. The moist fragrant mist would be soothing to a sick child and it can be operated without oils as a small personal humidifier for a child with a cold and congestion. This unit is available in a lavender and white soft color and will go with any décor. Enjoy the diffuser in your bathroom for a spa-like experience to soak in the fragrance and moisture. It can run for 4 or 8 hours with the settings you choose. Fill the water reservoir with 100 mL (3.38 ounces) of water covering 330-square feet and enjoy. Use it in your home, your office, spa or anywhere you want to enjoy the fragrance and essential oils all day or night(not included). The built-in timer allows for 4 mist settings for continuous or 15-second intervals as you choose. Being lightweight and small, you can take it with you. In addition, with its flat bottom, it will not tilt or fall over. It is worth the price and works well in a professional setting for its peaceful and fragrant effects. The 6-foot power cord plugs into a USA 110/120-Volt standard electrical outlet and is UL listed for safety. This is a super essential oil diffuser for the price. A User’s Manual is included and a Warranty. 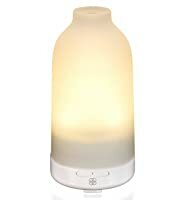 The ZAQ Allay Ultransmit® LiteMist Aromatherapy diffuser is the signature product from this brand. It is gorgeous to see and will be stunning in any room in your home, in the office, spas, and professional business offices. It is a cool-mist with an ionizer, and we all know that negative ions lift mood and spirts. It is whisper-quiet and emits 100% essential oils (not included) in your area. You will love it! The unit will automatically shut off when the water is gone. The water tank holds 80 mL (2.70 ounces) of water and will cover up to 300-square feet. The fragrance will waft and drift over an open area of about 2000-square feet. It will run 4 hours on one tank of water. Do not use funky oils—only 100% pure essential oils or you will be disappointed. Use only distilled water to prevent tap water mineral build up in the water tank. Take some time for the soothing and invigorating oil mist absorbed by your body and skin to relieve dry skin, irritated congested nose, sinuses and hair. Your body, mind and spirt will feel energized. The top of the diffuser is offered in pink, orange or aquamarine with a white base. The top chimney part glows using LED lights. It is made of BPA-free solid robust plastic so you will never need to worry about toxins in the air you are breathing in. It is a mid-sized diffuser at about 8-inches high and 4-inches wide for delivering a lovely look with any décor and a fragrance to die for. It is easy to clean—simply follow the instructions included. It will not beep or ding when it automatically shuts off when the water is gone. It does, however, have a tranquil waterfall sound that is soothing as in nature. The unit does use filters and replacements can be purchased on Amazon, so that you can enjoy your diffuser non-stop having a few on hand. This is an electric dual voltage 110/220-Volt diffuser and can run on 220-Volts in Europe and other countries. It is UL listed for safety. In the box is your User’s Manual and a 1-year Warranty. 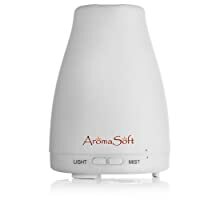 The lovely white AromaSoft® is perfect for home, office, spas, and wherever you want an ultrasonic diffuser. The neutral color will harmonize with all décor and is made of BPA-free durable plastic. Using ordinary tap water, it is whisper-quiet, and creates a strong mist like the ones used in spas and massage studios. It is wonderful to rid a room of foul stale odors, tobacco smoke, and helps dry skin, chapped lips, congestion and more. 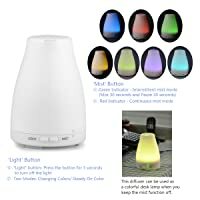 The 7 rotating LED light colors of green, blue, purple, yellow and red gently changing to the next color are relaxing and they can be turned off as you wish. The automatic safety shut off will give you security when in a baby or child’s room. You can choose from two mist modes of either intermittent or continuous. The intermittent runs at 30-seconds off and 30-seconds on. This diffuser will emit your 100% essential oils (not included) immediately. 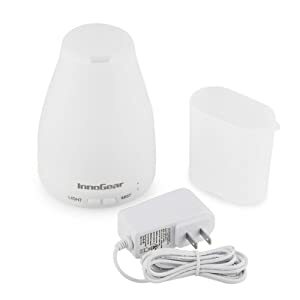 The easy to clean and operate diffuser holds 100 mL (3.38 ounces) of water to cover a small area of about 200-square feet with only a few drops of essential oils. Simply twist the lid off to fill, add a few drops of your favorite oils to the water, and flip the switch on. It leaves no white dust or flakes on your furniture. Only put water to the fill line to operate properly. The diffuser comes with a 6-foot power cord, an A/C adapter, and no batteries. It will run on USA 110/120-Volts and is UL listed for safety. You will receive a free essential oil recipe eBook, instructions, and a Warranty in the box. Be sure to register your Warranty online. Made of ceramic, this ultrasonic aroma diffuser and humidifier are BPA-free is stylish, elegant, and works with warm purified water. It is suitable for small spaces because it does not disperse a great quantity of oil. It is a perfect choice for your home, office, child’s room, and spas. It is easy to clean with water and do read the instructions that came with the unit. It relieves foul odors, dry itchy skin, chapped lips, congested nasal and sinuses including dry hair. The ultra-fine mist is wonderful using the GreenAir® Spa Vapor+ Diffuser with 100% essential oils (not included). The LED lights rotate in 6 soothing colors of red, purple, green, and blue. You will be able to mist in any direction with this cool design. It can be operated with or without lights and can be used as a night light. The diffuser automatically shuts off when the tank runs out of water. Add the water from a cup rather than the faucet so that you can see the fill line. The tank holds 150 mL (5 ounces) of water and will cover an area up to 250-square feet for 4 hours. The 5-foot power cord plugs into a USA 110/120-Volt standard electrical outlet, UL listed for safety. This is a super essential oil diffuser for the price. It is available in 1, 2, and 3 packs to have one in each room. This cool-mist ultrasonic diffuser is great for new users. It comes in a soft white polypropylene (PP), a durable plastic holding 100 mL (3.38) of water running for 3 hours with the continuous cycle and 6 hours on intermittent. It effectively covers 250-square feet and is ideal for a child’s room, bedroom, spas, and offices. Being portable, you can enjoy the fragrance of 100% pure essential oils (not included) with therapeutic benefits as well. Use it as a small humidifier without the oils for added moisture. The colorful LED lights display 7 colors of green, light and dark blue, yellow, pink, red and white to sooth a sick child. The lights can be adjusted to your liking dim to bright or in one favorite color that you can fix. The diffuser shuts off automatically when it runs out of water for you to feel secure with its safety. It is whisper-quiet and provides odor elimination for tobacco odors, stale odors, and the smell from your pets. It is wonderful for nasal and sinus congestion, dry hair, dry hands and chapped lips. A measuring cup is provided for refilling the water tank always filling to the Max line only. Less water means you will enjoy more mist. The 6-foot power cord plugs into a USA 110/120-Volt standard electrical outlet and is UL listed for safety. 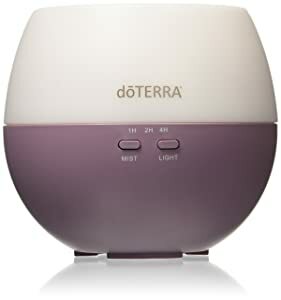 Being affordable, this diffuser would be a great gift for a beginner wanting to start out. Being small, you can easily take it with you to your office or on a trip. Using no heat, there will be no burning of the hands. A User’s Manual is included and a 45-day money back guarantee is with 18-months product Warranty if you are not satisfied with this diffuser. 150 - 350 sq. ft.
up to 330 sq. ft.
Ultrasonic Diffusers—Work very comparable to the nebulizers by having a very fine mist. Ultrasonic diffusers, however, use water and essential oils together for dispersing a cool-mist of essential oils into the air. They have a dual action and can be used as a small personal humidifier without any oils to moisturize a small area. That makes them great for dry winters when the heat source is on or in dry climates. The output is slightly diminished compared to nebulizers. 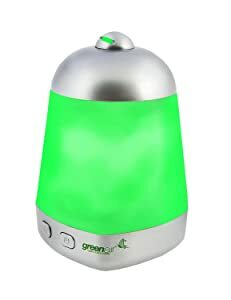 This diffuser cannot use citrus oils because it will ruin the parts that make the unit function. Nebulizing Diffusers—Are the most powerful. They do not require heat or water. They use an atomizer, similar to the push top on a perfume bottle, for dispersing the 100% pure therapeutic oils into the air for you to breathe in. They are wonderful for a sick child, or for anyone feeling ill with a cold or flu with the continual mist being put into the air. Heat Diffusers—Also use evaporation for the oils to enter the air quickly, similar to evaporative units. They use no heat to blow air into your area to achieve diffusion. Some diffusers do use a high amount of heat to emit stronger fragrances, but the best ones use low levels of heat for a more delicate fragrance. Heat alters the chemistry of the essential oils and you will not benefit from the entire plant’s goodness—the oils. These diffusers are quiet and inexpensive, but not recommended for therapeutic benefits. Evaporative Diffusers—These are basic units that use a fan to blow air in the area through a filter or pad that holds the essential oils where the oils evaporate by the fan blowing air. When oils evaporate, again you do not get the full therapeutic benefits of the essential oils from the plant. This type unit runs quietly and puts out some aroma, but not as concentrated as the ultrasonic and nebulizing diffusers that are the best. It’s a wonderful and heady memory when we smell cinnamon rolls or an apple pie baking maybe done in years past by our mother or grandmother. Some scents will remind you of mom’s roses or grandma’s perfume. Yet today, we can have the same fragrances and healthy benefits from 100% pure therapeutic oils put into a diffuser. The benefits from essential oils are wonderful for depression, anxiety, uplifting moods; for congestion of the nasal and sinus passages, to improve dry skin, aid with digestion with an enjoyable fragrance as well. They remove pet and tobacco odors, stale food smells and other odors you don’t like. The healing benefits go beyond to benefit mind, body, and soul—mental, physical, and emotional. Use the oils in your bath, in massage oils, put diluted on your skin, and inhale with a diffuser. Essential oils are the concentrated chemical from Mother Nature’s storehouse. The plants themselves have no fatty acids, so in theory, they are not “oils” in any way. It takes many plants to get the oils. Many oils are expensive due to the amount of plant material to produce oils—2000 rose petals to make 1 gram of oil for instance. Always purchase steam distilled oils for medicinal use, therapeutic grade, and never apply directly to the skin due to allergies or irritation. They are highly concentrated. Most cannot be ingested, but do your research well. Check with your doctor or healthcare provider and know that pregnant and breast feeding mothers cannot always use all oils. Some oils are not recommended to be used around young children, elders, and pets. We hope you have been enlightened by reading the information presented here in the essential oil diffuser reviews. 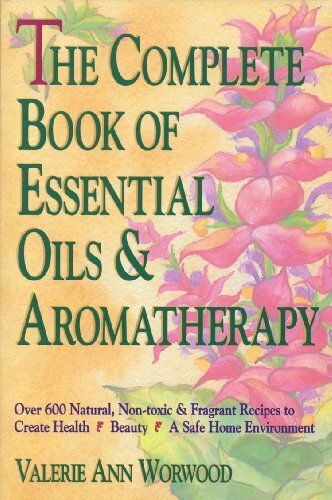 Essential oils is a journey into a blissful and healthy life adventure for benefits and fragrance. Read reviews from people about what to buy and the pros and cons. We do not sell oils or diffusers; we simply provide useful data for you to have a measure of knowledge to encounter the world of the best essential oil diffuser and therapeutic oils. Feel welcome to contact us by leaving a comment. An excellent post mate, have got a lot of useful info here. Im glad you like it! Thank you! Am having the same difficulty finding a nebulizer I like and that will look great in my home. Is there any way you can tell me what brand the above pictured ones are? There is pink, white, brown, and magenta shown above. I I have tried every google search possible and can’t find them. That is Artisan Diffuser from Aromaxioma. Unfortunately they’r in Australia and i cannot find anywhere sell it in US. If you see anywhere sell it, please let me know! Can I have a quote for US Customer? If possible, please send me via contact page. Thank you! I’m interested in that one as well. Would you please share info once you have same? Thank you! Unfortunately I dont. Have you try to contact them directly? Is there a certain diffuser that has the timer setting where you can set the time you want it to come on? I saw it mentioned that they make them but I have not seen 1 that has it in the description. Very interesting review. Have you had a chance to take a look at the Scentsy Diffusers yet as you’ll find they out perform all of these and are the only ones on the market with a lifetime warranty. Anyhow check them out on missjojo.scentsy.com.au. I’m glad you like my reviews and thanks for your suggestion! LOL – she obviously sells these … sad self-promotion. Hi, I have a son with special needs and to secure his safety in his bedroom at night, I’m looking for a great diffuser that works with batteries, can you recommend something please!! Thank you for your time! Why do you want a battery diffuser? It wont bring best result to your need and im highly recommend you choose one of those diffusers above. But in case you still want one with batteries, you can get this ZAQ Mini diffuser: http://amzn.to/1nMO5Gu. 200ml Aroma Essential Oil Diffuser … Woodgrain looks (plastic). Tonight’s my first night using it and it occasionally makes this loud popping noise. I’m a little concerned. Is this the same diffuser you recommended? Do you think I should be concerned or is it common? 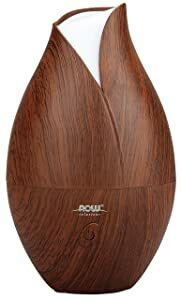 I have never had a diffuser, would like to try, however I am concerned about the mist harming my wood furniture as I am sure some moisture would fall on it, should I be? I have many wood furnitures in my house, but no problems so far. I have been looking all over the place for information regarding optimal placement of such a diffuser but to no avail. Great Reviews with comparison chart of Aromatherapy diffuser. Please write about dehumidifier also. Thanks, my wife wants one for Christmas and now I think I want one lol. Very helpful. Hi Susan, I’m using the same theme as you, what plugin do you use for the review table?